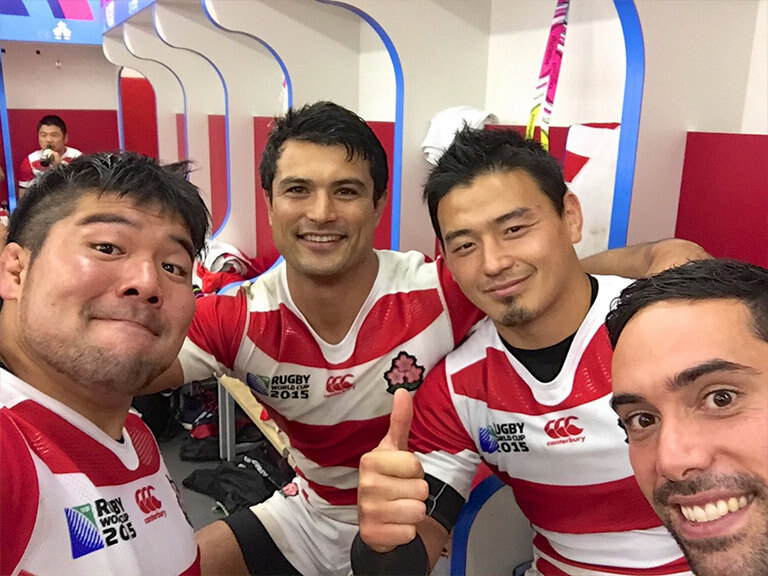 Star Rugby Player Craig Wing on Japan and RWC 2019 | G'Day Japan! 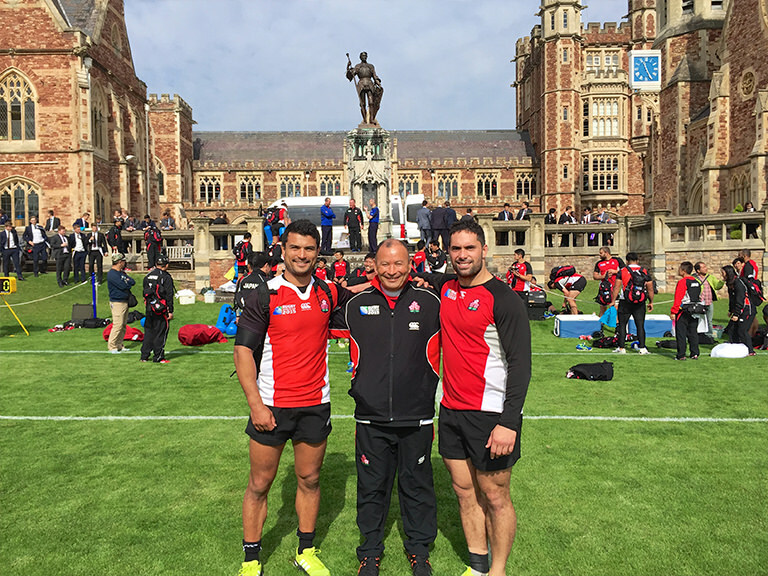 We sat down with legendary Rugby League and Rugby Union player Craig Wing, who was a star player for team Japan in the 2015 Rugby World Cup- England. 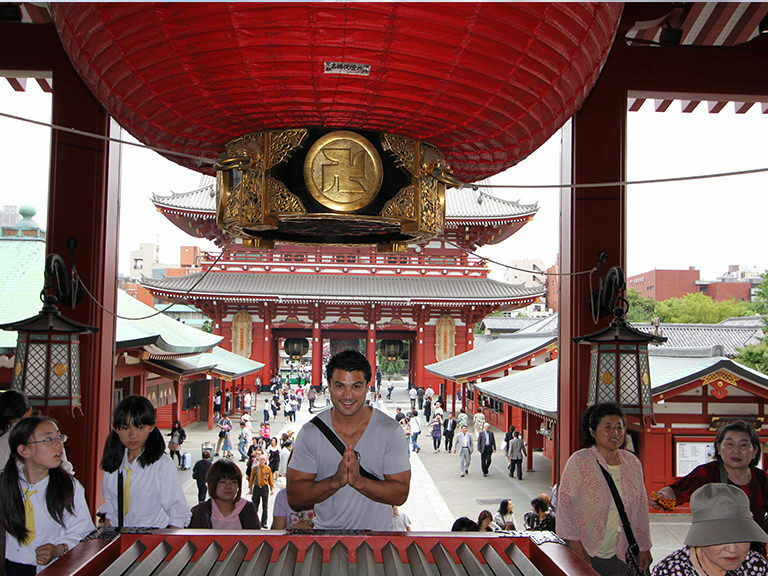 He spoke fondly of his time in Japan, and gave us an insight to the upcoming Rugby World Cup, as well as the best ways of enjoying Japan. 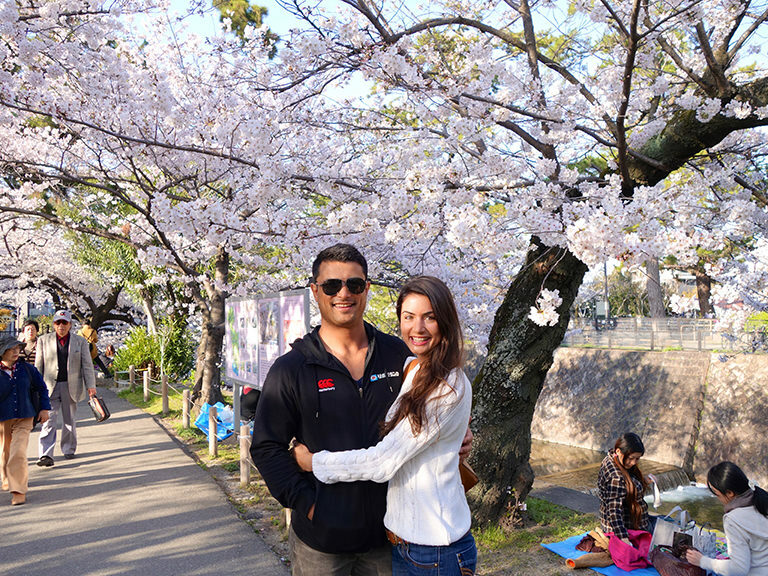 On his transition out of Rugby League and his ﬁrst impression of Japan. I used to play both Rugby Union and Rugby League in high school, but I could only choose one when I started my professional career. Even though I chose League, I always felt like I had some unfinished business with Rugby Union. 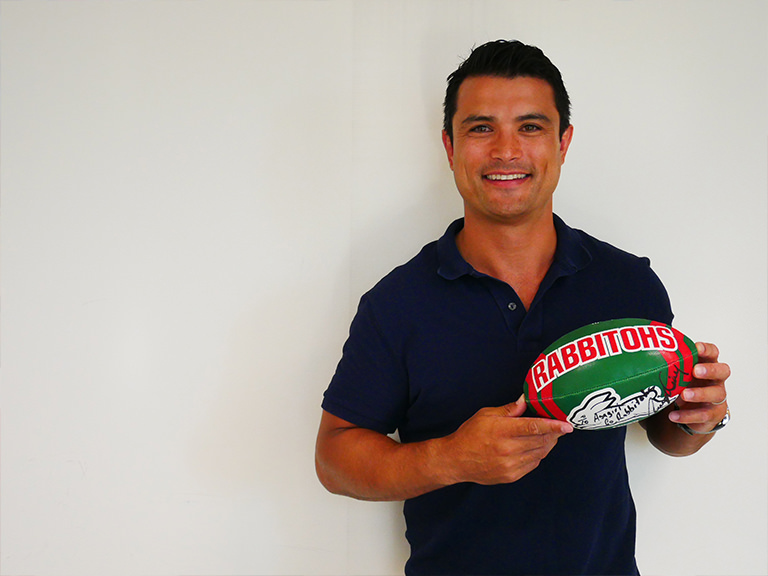 Towards the end of my Rugby League Career I had a couple of serious injuries that made me realise it would all come to an end one day, so I sat down to really evaluate what was left to do before I retired. I was approaching 30, and one of those things was to play Rugby Union again. The other was to live overseas to experience a different country and culture whilst playing football. I didn’t initially have Rugby Union in Japan on the list, simply because I didn’t know that there was Rugby Union in Japan! But it was after spending months exploring different options, particularly France and England, that it was by chance discovered Japan through a friend of a friend. 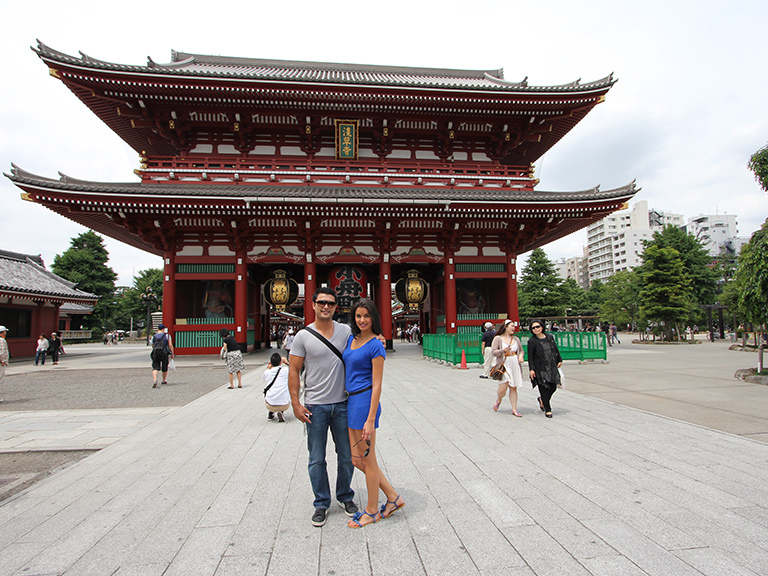 I chose to roll the dice and go with Japan because I knew it would be completely unlike anything I experienced before. 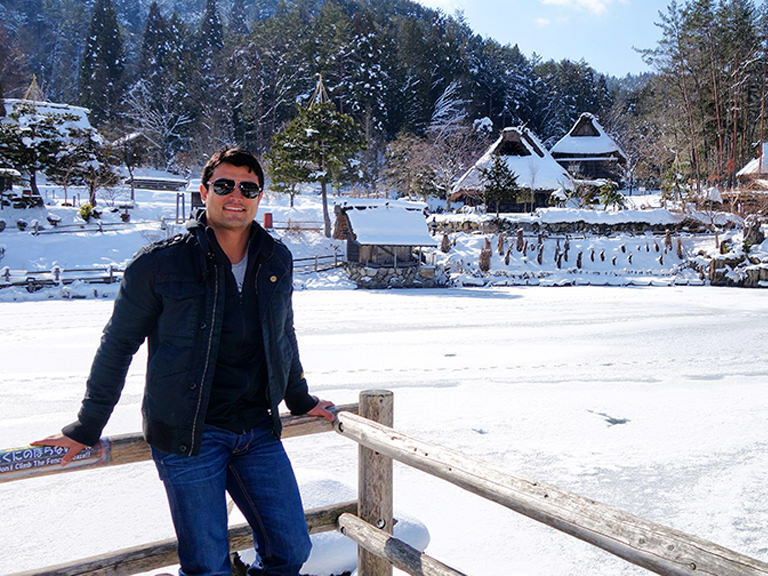 I only experience I had in Japan was when I went to Niseko once in 2006, working for Foxtel while hosting a lifestyle show. We were visiting Australians overseas and ended I up in Hokkaido. That was right when the area was starting to become a hot spot. It was so different to what it is now, however, I was only there for three days so I didn’t explore much. After that I didn’t visit until I moved in 2010. I was single with no friends or family, there was a small ‘Gaijin (foreigner)’ contingent on my team – who quickly became like family but, outside of that- everything was so foreign. I was in a completely different team dynamic, different culture, different country and I had no idea where anything was. I couldn’t believe just how big Japan was. Tokyo make Sydney look like a small country town. The density and scale of buildings is mind boggling. But I was surprised at how efﬁcient everything was. And I guess the transition to Union was a bit tough for me, it only took me a good 6 months. 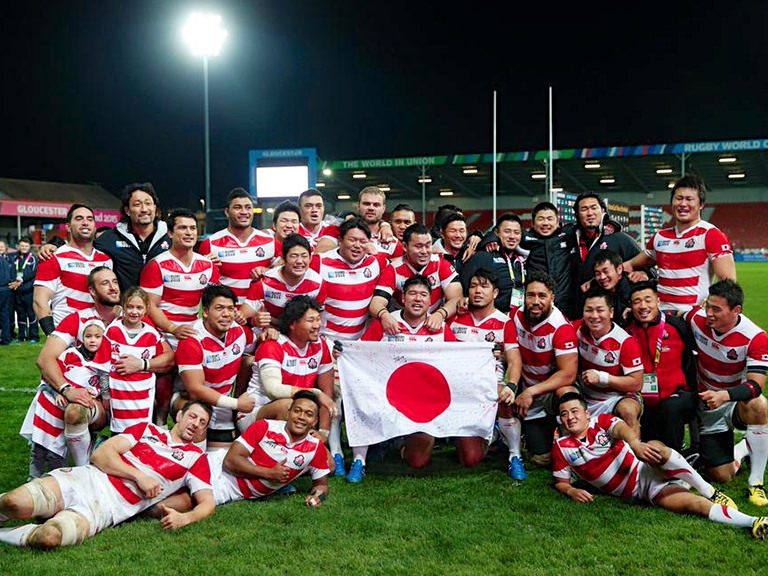 It was difﬁcult because other than the few foreign guys, I was trying to learn rugby off Japanese guys and most of them couldn’t speak English, and I couldn’t speak Japanese so it was a case of just watching and learning. I remember playing earlier in my career over there, and I thought I was doing a great job but my team just keep getting penalties. I started to get really angry, after about 15 penalties in four, ﬁve games. I got really angry to ask the coach ‘who’s giving away all of these points.’ and he said ‘it’s you!’. So that was actually pretty funny. 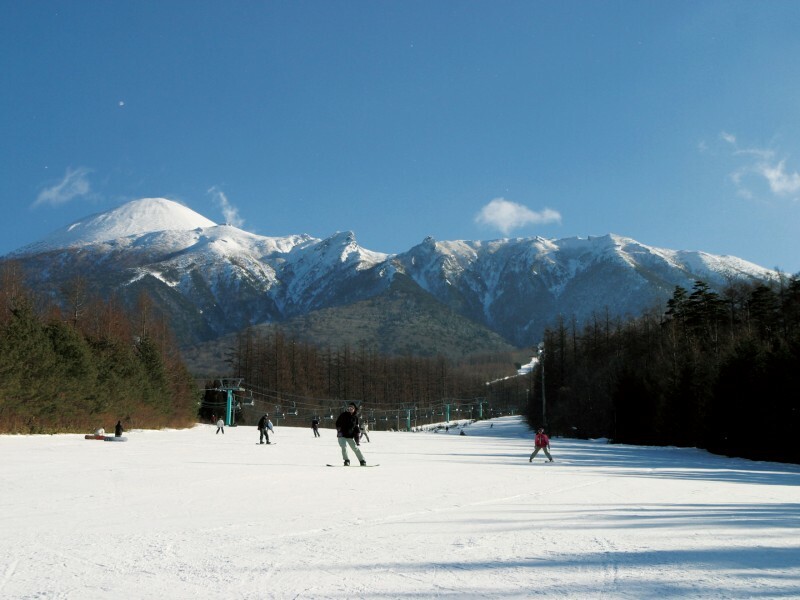 I love the mountains of Japan both summer and winter… but especially winter. 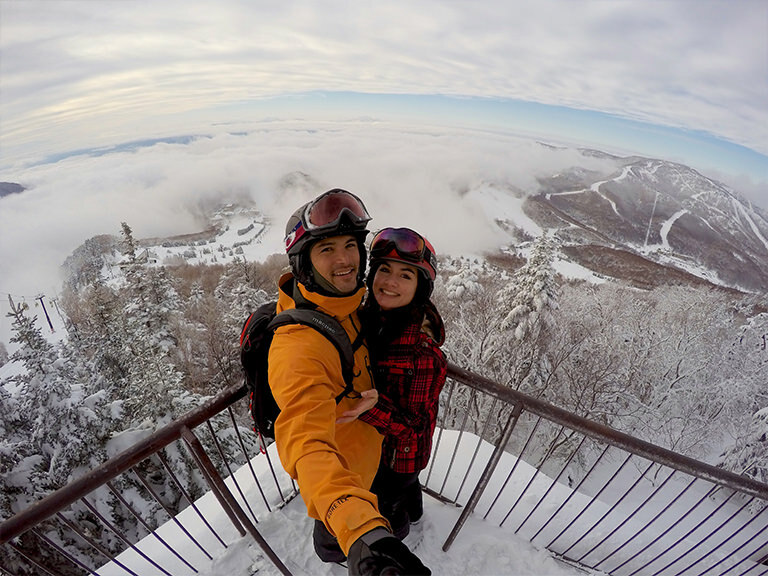 Skiing, snowboarding. Backcountry splitboarding is probably my favourite of all things. 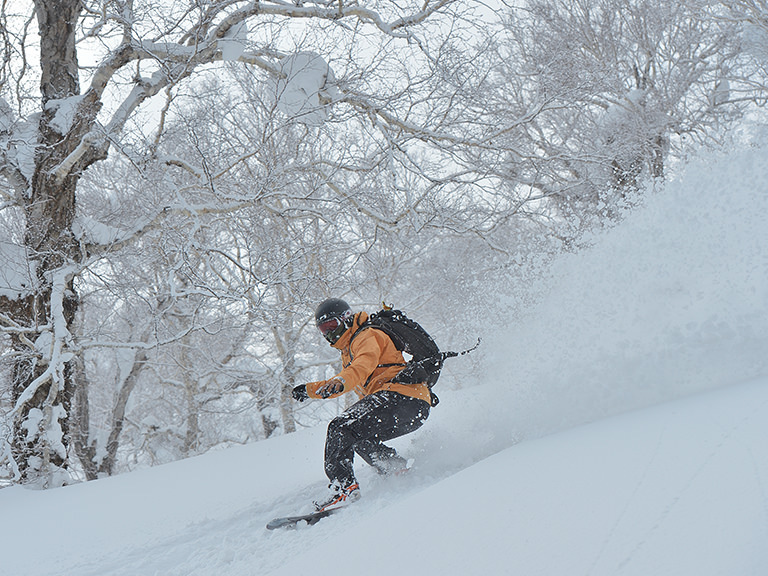 The highlight of skiing in Japan is the powder there, and the snowfall is so reliable. You can go to Europe, spend a lot of money and maybe go two, three weeks without snow. 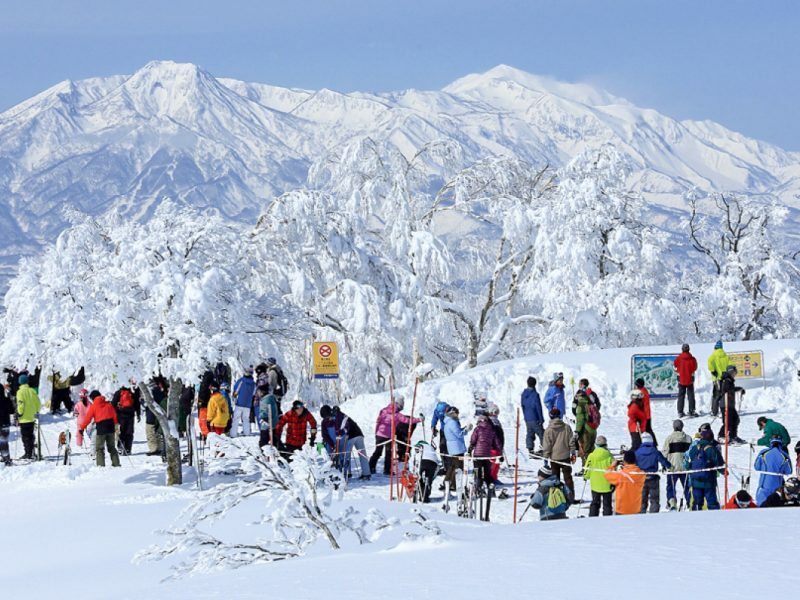 Or you can go to Japan at a fraction of the price and you’re guaranteed fresh snow every 3-4 days. And this is the kind of snow where you could ride down the mountain, fall on your head and do a couple of cartwheels but still bounce up and keep going. 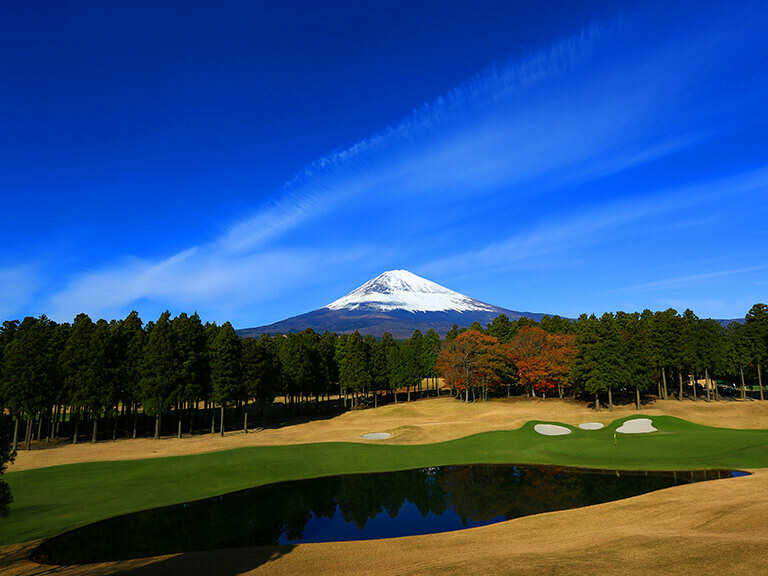 I also used to do a lot of golﬁng in Japan, they have so many beautiful courses that you would never have heard about, because you cant find them on English google. The process of the game is a little different over there too. 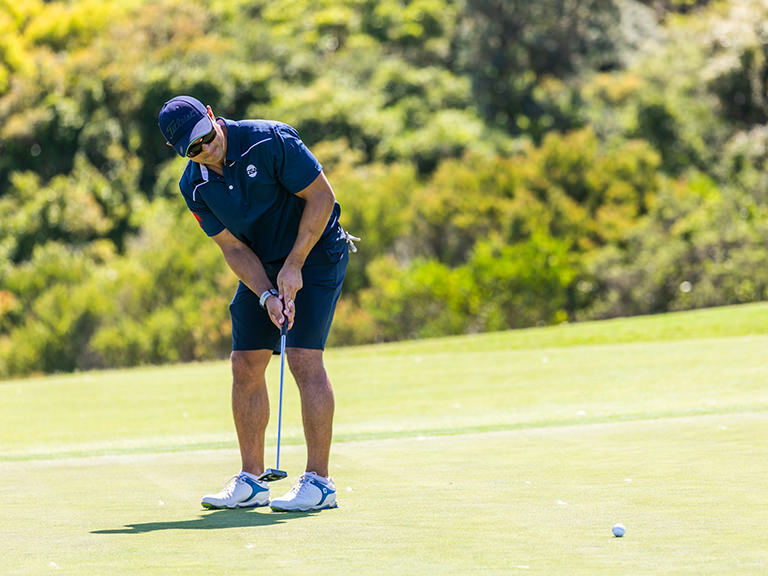 Here, guys like to just go through and get the quick 9 or 18 holes in the head off back to work or something else, but there it’s more of a whole day thing, like a mini holiday. You play 9 holes, stop and have a really good lunch. 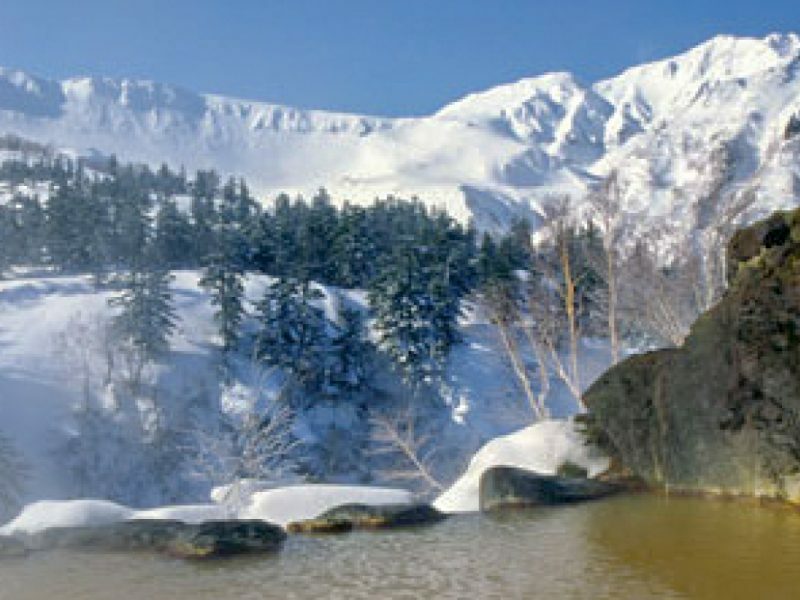 Then when you finish you stay, have an onsen, get changed and maybe even have a nice dinner. It’s a time to hang out and really get away from the hustle and bustle of the city. It’s a much more full experience in Japan, which I like. I’d say deﬁnitely go in Spring, just before or around cherry blossom season. But my favourite time in Japan is to go at Autumn, with all the changing colours of the leaves. The temperature is nice in Autumn – particularly in areas like Kyoto and Nara, the scenery really comes to life. It’s a good time to do anything outdoors – to explore. The best way to get around Japan is public transport, because it so good. But it is also really cool to hire your own car and drive. You end up seeing places that most people never see, even the Japanese. The roads are awesome in Japan. I loved driving in the snow, through the mountains in Japan. It’s a bit scary at ﬁrst for an Aussie. We don’t get that here and you hear all the stories about cars sliding, but the roads in Japan are really well maintained. 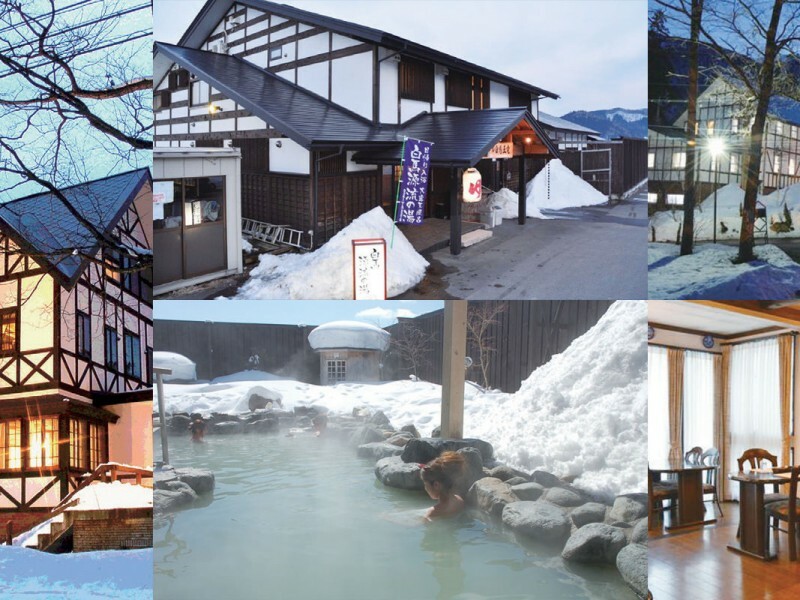 And it gives you a chance to see faraway villages and onsens (hot springs), ﬁnd places to eat and you get a more authentic Japanese experience as well. On my days off I drove down to some of the beaches in Japan, down to Shimoda, in Izu (Shizuoka) – there are some great beaches down there. And over to the Sea of Japan side, in Northern Kyoto, Kotohiki Beach – that was really nice. 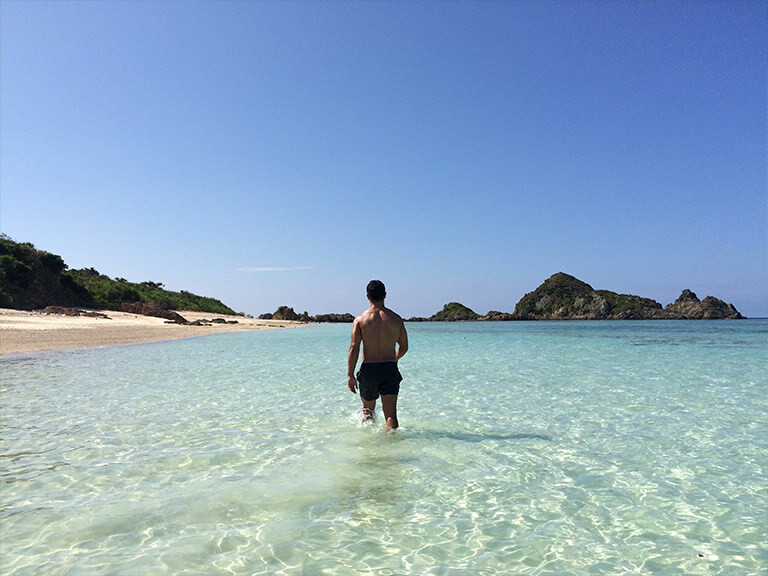 Even over in Shikoku Island, there are some good beaches there too. You do have to travel quite far to get to a good beach, but it’s great once you’re there. I got to surf some typhoon swells, down near the bottom of Lake Awaji. A couple of days before the typhoon the swell usually picks up, and then it’s good after the typhoon goes. I had a day off, and I’d drive an hour and half to catch it. 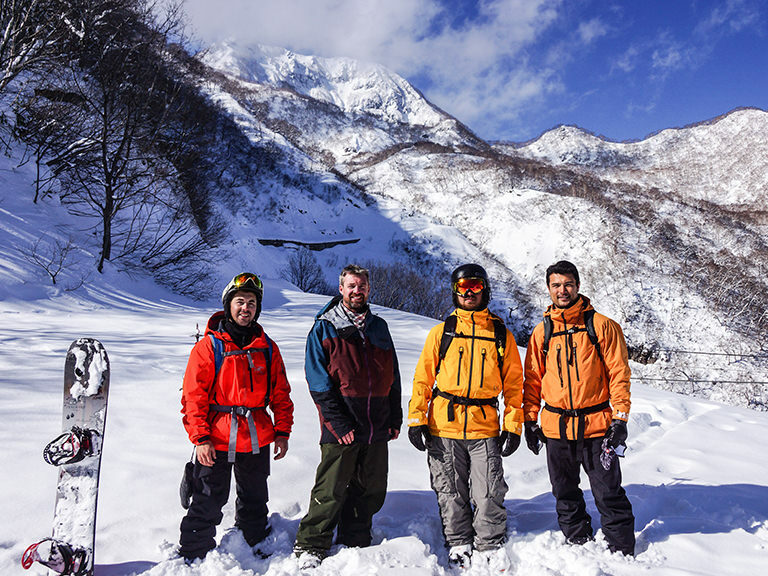 There are lots of hiking spots, in Kobe there’s Mount Rokko, and we would hike over it down to Arima Onsen and stay at the hotel to enjoy the hot springs, relax and then get the cable car back over the mountain. 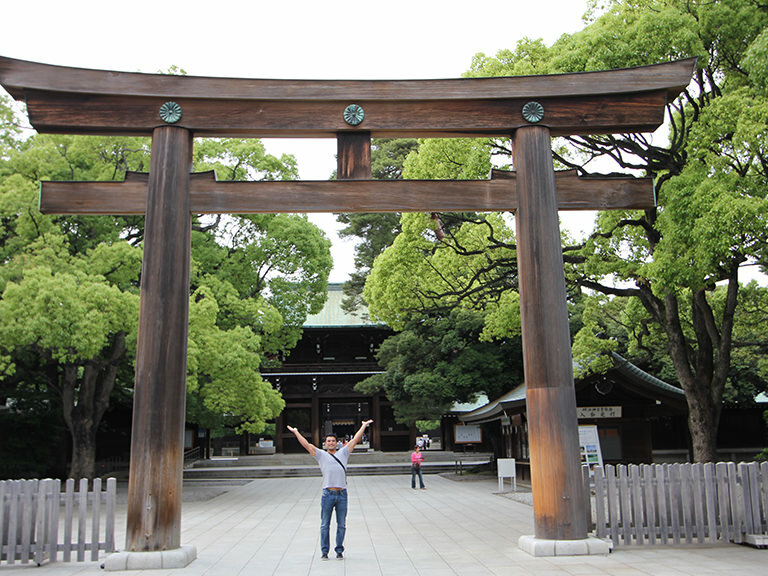 So I got to travel a lot in Japan and enjoy the country and culture. My advice is just go and explore till you ﬁnd a good spot! First tip is to get a JR Rail Pass and use the shinkansen (bullet train) and travel everywhere. The bullet train is so easy to travel on, there’s no weight restrictions, it’s comfortable, more than a plane and it actually gets you straight into where you want to go. If you want to explore, that’s a must. When it comes to food, just try it ﬁrst. Eat it and then ask what it is. A lot of that stuff, as a foreigner, if you ask ﬁrst you’ll not want to try it. Whether you like it or not, always ask what it is afterwards. As a start, I’d recommend trying all the different kinds of ramen in Japan – there are so many different styles and then sub-styles within that unique to each area of Japan. Do a little research of the areas that you’re going and taste the different styles at those locations. You’ll be amazed with the number of different interpretations that they have with the same concept. For me, I love my meat, so try the yakiniku (BBQ beef), yakitori (BBQ chicken). You get to try all different parts of the animal and experience what they can do with it. For example, I liked the cartilage of the chicken, the texture and the ﬂavour. So just try whatever you can. I think the part of the appeal of travelling to Japan is to just jump in and work it out from there. And the thing is, the Japanese are so friendly and they’ll help you when you need it. If you get in trouble, just politely ask someone for directions or for help and they’ll go out of their way to do what they can to help. They may be a little shy at ﬁrst because of the language, but once they get over that, they are all so accommodating. I remember my friend came to Tokyo when I ﬁrst arrived, and we wanted to buy a watch, and we had to ask the shop owner how to get to the station so we could go home. The shop owner closed down the shop and walked us 300 metres down the street, and told us exactly where to go. We were completely amazed with that. Obviously I will be going for Australia but will be rooting for Japan as well. They won’t meet until the ﬁnals if they do. I’m really looking forward to seeing how my friends in Japan will go. 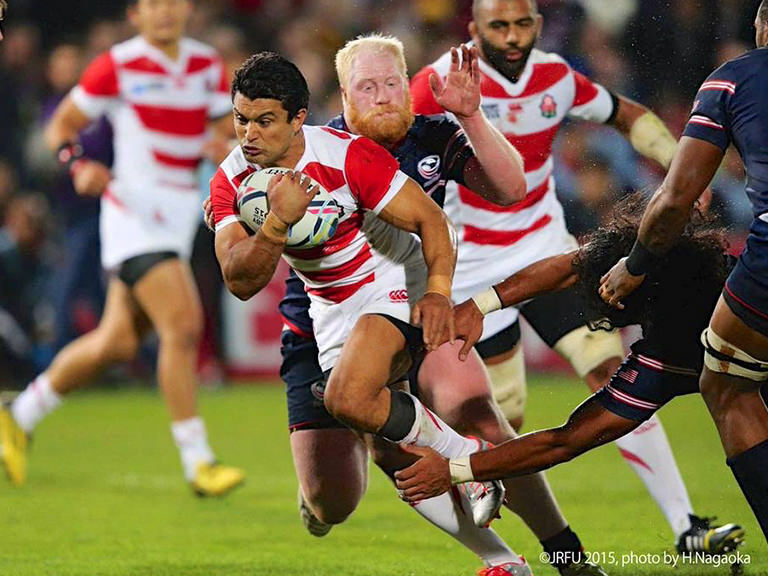 Rugby in Japan can be a lot different. For example the collisions aren’t as big in Japan, and contact is not as consistency ﬁerce. Yes there are big games, yes there are big contacts but not as many. The games seem to go a lot quicker in Japan – a bit more enjoyable actually, compared to the more structured game played in Australia. There’s more room to improvise, and it can be quite fun. I think it can go one of two ways for Japan; the pressure could get to them as there certainly will be a lot of pressure on them. If there’s one team that knows how to put the pressure on themselves it’s them… alternatively, and this is the way I hope it goes for them, they got a lot of belief they got from the last world cup, and the style of play they’ve got now was designed for them and they know they can beat the bigger teams with it. And then there’s a lot of conﬁdence they have from being the home team and the support they have. They’ve picked some good players along with some players from last time that will be the backbone of the whole team. They could surprise a few teams actually. It would be difﬁcult however, as they won’t be able to sneak up on the other teams like last time. Nobody really knew who the players were on team our Japanese team, some probably didn’t even know Japan played rugby. But now other teams would have done their research and know what to expect a little more. Japan have got a pretty tough one. They owe Scotland one – in the last world cup, we won the same amount of matches but they got through on the bonus point. So that’s one team that they really need to beat. The big one to beat is Ireland, but they do have the possibility to get through because of the home ground advantage. The Wallabies have got one tough game against Wales, that’s gonna be the big game for them. But they should win the other games, and make it through the quarter ﬁnals. The big scary one there for them, I think is going to be Fiji. This is because they are all big, strong, athletic and they’re really fast. They’ve got a really great strength and conditioning coach at the moment (he was our S&C coach for Japan for 4 years leading up to the world cup. He was the best I’ve worked with in my whole career. The things he did for some of the Japanese guys as well as myself was incredible. I can’t wait to see what he does with the raw strength and athletic ability of the Fijians.. Fiji is just the kind of team that if they’re really switched on that day, they can do some amazing things that are almost freakish so, they’ll be a dark horse. I’m really looking forward to every area of Japan just buzzing. There’s a real carnival atmosphere associated with the Rugby World Cup. All of the bars, restaurants and every business gets involved with the Rugby World Cup. You see all the colours, the ﬂags, all the jumpers from different countries on different people from all of the world. They all get very involved with it despite language differences. So I’m really looking forward to seeing the Japanese people, shop owners, the government getting involved in the celebrations. If there’s one country that can handle lots of people, and move lots of people very well, it’s Japan. So I think it’s going to be an awesome World Cup! All the bars, all the pubs, it’s going to be crazy. I can’t wait to get over there! 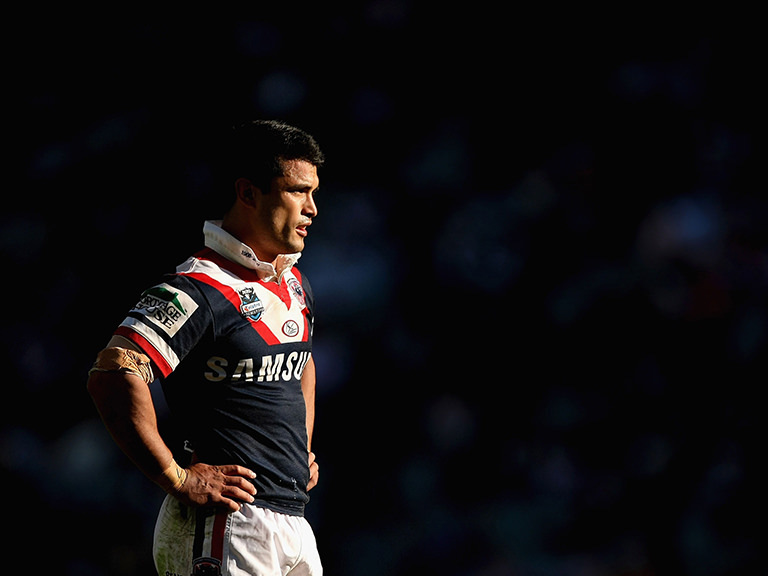 A star Rugby League player in Australia with an outstanding career with the Sydney Roosters and Sydney Rabbitohs. Represented New South Wales in the State of Origin from 2003 to 2009. 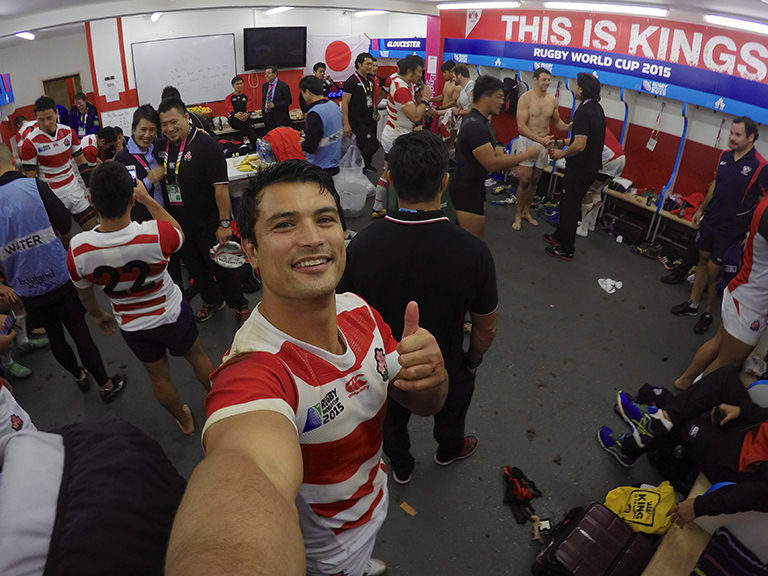 He then transitioned to Rugby Union in Japan, and represented Japan in the last Rugby World Cup in 2015. 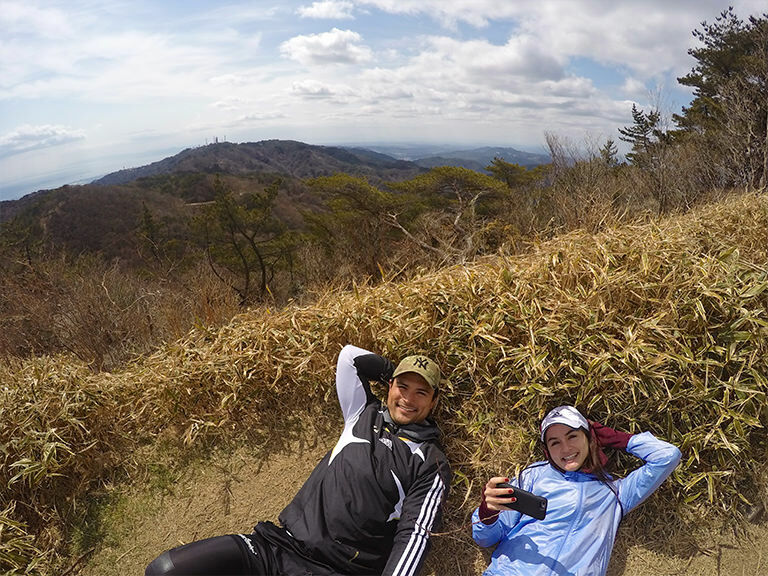 Now, a traveller, a golfer, and an all around outdoor activity and Japan expert.